Watlington Hill provides a diverse mix of habitats, including rich chalk downland, chalk scrub, broadleaved and yew woodland, acidic grassland and acidic scrub that support an extensive range of rare plants, butterflies, mosses and lichens. There are stunning views of the surrounding Oxfordshire plain from Watlington Hill. The site is also home to a 270 foot tall triangle cut into the chalk that is believed to have been undertaken in 1764 on the orders of Edward Horne of Greenfield Manor in order to give the impression that the Norman church in St Leonard had a spire, when viewed from his home. Watlington Hill forms part of the Watlington and Pyrton Hill Site of Special Scientific Interest (SSSI). OCV tasks at this site often include clearance of invasive scrub in order to restore and preserve the rare chalk grasslands and the species that rely on that habitat. The activity also reduces the shading of the grassland to help maintain grassland diversity. Watlington Hill, part of the Chiltern Escarpment, is 112 acres in extent and reaches 235 metres at its highest point. The peak of the hill consists of clay-with-flints supporting clay soils. Lower down the hill the shallow soil is calcareous. The open grassland is home to a large number of chalk-loving plants. Example flora include pyramidal orchid (anacamptis pyramidalis), common spotted orchid (dactylorhiza fuchsii), rock rose (helianthemum nummularium), violets (violaceae), ground thistle (animus acaulis), yellow-wort (blackstonia perfoliata), cowslip (primula veris), sheep�s fescue grass (festuca ovina), horseshoe vetch (hippocrepis comosa), kidney vetch (anthyllis vulneraria), squinancywort (asperula cynanchica), bee orchid (orchis apifera), frog orchid (coeloglossum viride) and dropwort (filipendula vulgaris). The wild candytuft (iberis amara) is of particular interest since it is a nationally rare species. Chiltern gentian (gentianella germanica) is typically found around the entrances to rabbit burrows. Wild basil (clinopodium vulgare), marjoram (origanum majorana), false oat-grass (arrhenatherum elatius), yellow oat-grass (trisetum flavescens), black medick (medicago lupulina), wild strawberry (fragaria vesca), clustered bell-flower (campanula glomerata) and field scabious (knautia arvensis) are examples of the flora commonly found within the areas of downland and scrub at the site. 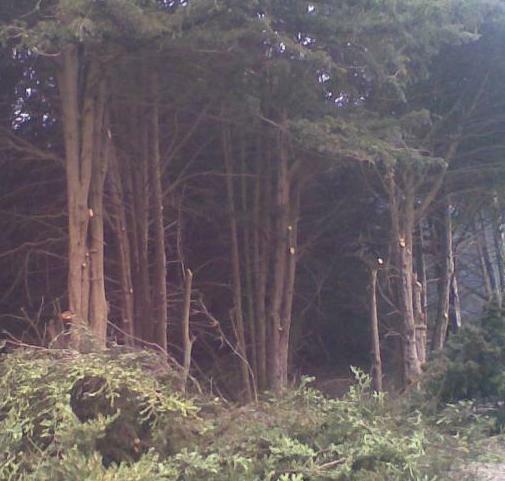 Dense yew woodland at Watlington Hill covers approximately a quarter of the site. The ancient beech woodland Lower Deans Wood, cared for by the National Trust, is visible from Watlington Hill. The scrub includes increasingly rare species such as juniper and the small native conifer. Dominant species within the scrub are hawthorn, dogwood, guelder rose, wayfaring tree and whitebeam. At the top of Watlington Hill there is a small area of acid soil habitat where heather (calluna vulgaris), tormentil (potentilla erecta) and sheep�s sorrel (rumex acetosella) thrive alongside gorse, blackthorn, hawthorn and silver birch. The heath fauna thrives at this site since leaching of minerals and nutrients has led to the poor soils that they need. Due to the calcareous soils, Watlington Hill is also home to a varied range of mosses, lichens and liverworts. In one area of the site at least fifty species of liverwort have been recorded, including rhodobryum roseum, weissia tortilis and frullania tamarisci. Watlington Hill provides magnificent habitat for invertebrates such as butterflies, including a large population of the silver-spotted skipper (hesperia comma) that lay their eggs in the sheep�s fescue grass on the edge of the bare chalk. Other species of butterflies commonly found here include the brown argus (aricia agestis), marbled white (melanargia galathea), small blue (cupido minimus), brimstones (for example gonepteryx rhamni) and green hairstreak (callophrys rubi). There have also been occasional sightings of the chalkhill blue (lysandra coridon), dark green fritillaries (argynnis aglaja), dingy skipper (erynnis tages) and grizzled skipper (pyrgus malvae). Yellow ants are another rare species that inhabit the site. Red kites (introduced to the area in the 1990s) and buzzards are frequently seen flying over the site and neighbouring land. The woodland and scrub provides ideal habitat for smaller birds such as goldcrests, warblers, whitethroat, finches (including yellowhammer and linnet), thrushes and bullfinch. Seasonal visitors to the site include fieldfares and redwings. Mammals including foxes, badgers, rabbits, grey squirrels, muntjac deer and fallow deer are present at the site. The chalk grasslands used to be kept free of scrubs by gazing sheep on the land. With the reduction of grazing, however, trees and shrub seedlings grew readily and began to climb the slopes of the hill through natural succession. This process was delayed by rabbits nibbling the young seedlings, until myxomatosis dramatically reduced their numbers. Although rabbit numbers have now recovered, the volume and size of the scrub and trees is too advanced for the rabbits and deer to have much impact. One of the main aims of conservation management at the site is to reduce the level of tree and scrub cover and to inhibit further scrub growth, whilst retaining sufficient scrub and woodland areas. The purpose of this work is in order to maintain the delicate chalk habitat that is vital for the survival of rare species of fauna and invertebrates at the site. 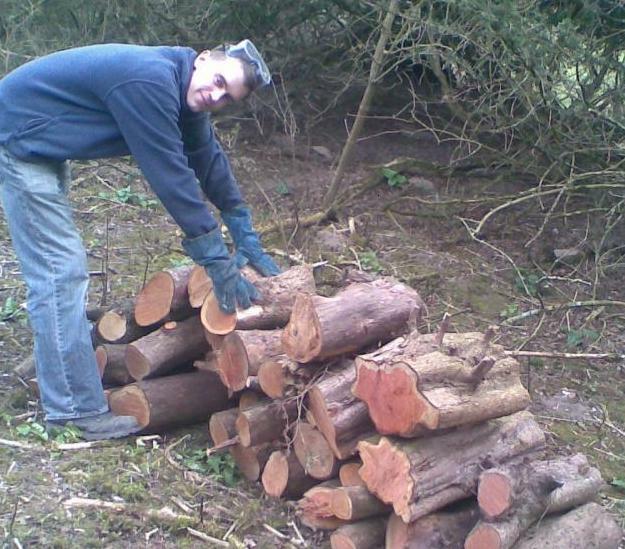 This work is carried out by National Trust volunteers, and is a regular for OCV. Another aim at Watlington Hill is to improve access by extending level paths in areas where they will not disturb the habitats. OCV has assisted in this task by helping to maintain the existing paths in order to allow public access whilst protecting the woodland floor and grassland areas. The 101 bus goes from Oxford to Watlington. Other busses go to Watlington from Thame (124) and Wallingford (125). From the bus stop in Watlington walk along the pavement South out of the town along Hill Road. On the right hand side you will see a sign for a National Trust car park, go in here. To reach the site by car, leave the M40 at junction 6 and head East towards Watlington, along the B4009. In Watlington take a right along Hill Road. The car park is 1 mile South-East of Watlington, on the right hand side and is indicated by a National Trust sign.